O-104 (no die circular die crack, R6?) below, O-104a R1 at bottom. 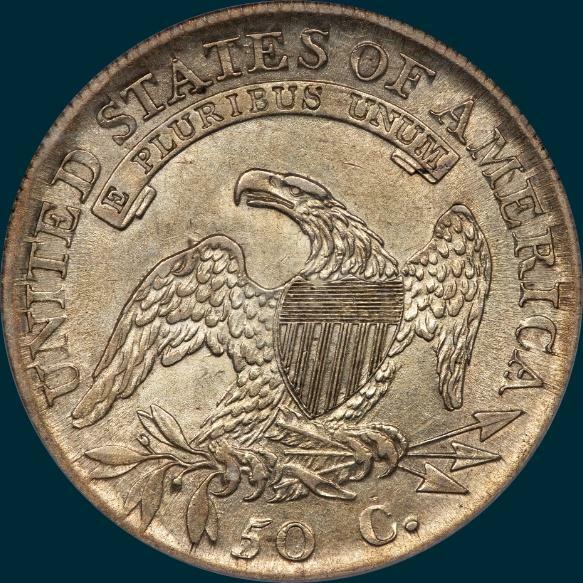 The 104a die state is rather common as it seems that the die cracked severly early in the miniting process. 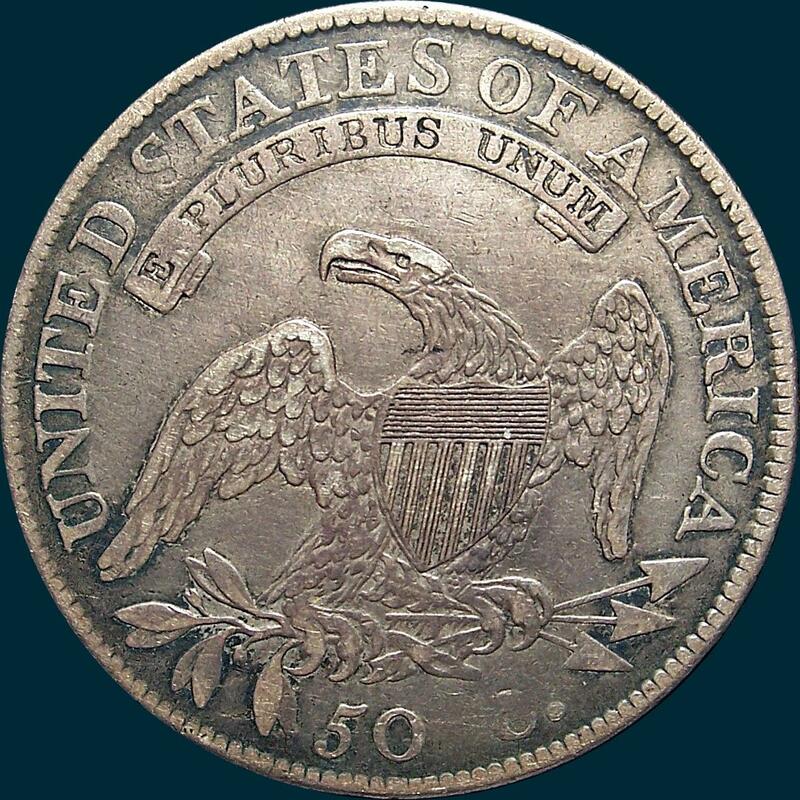 There are very few without the circular die crack on the obverse. 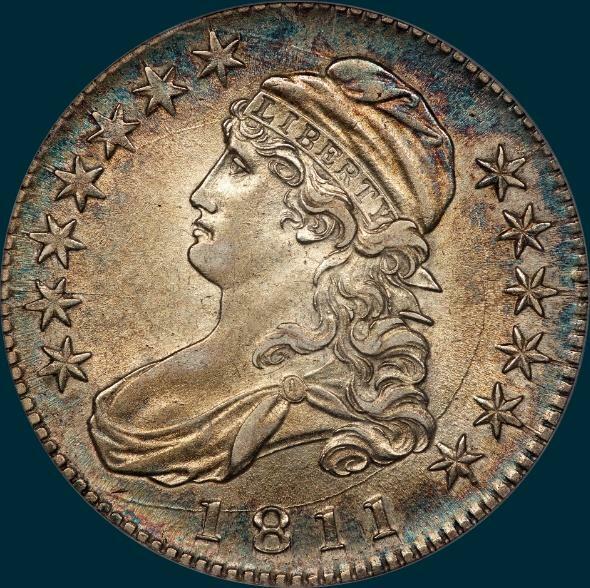 AU's are not too difficult to find and there are also several MS coins with a handful of gems in the condition census. Purchased as a VF30 (Raw). This came from Ed Richter and is Ex-Mike Marker, a Bust Nut from way back when. Was told this coin has been in an envelope for 40 years. It has been cleaned, as under the gray toning are numerous hairlines. Quite a few scattered marks are present as well. The only crack present is across the upper tips of star 2. Variety Attribution: Obverse-Star 13 is very close to curl. Date is 10 mm. A horizontal crack from edge through two upper points of star 2 on all early specimens viewed. O-103a: There is a crack from the horizontal crack at star 2 curves up through stars 3 to 5 and to forecurl and an extensive die crack from edge above star 7, which circles across crown of cap, down through right field, across lower curl, top of 18 and to edge under end of bust. Another crack from edge through upper two points of star two and into field. Reverse-50 C. is 2 1/2 mm. and low. Center dot between crossbars 4 and 5 at left. Arrow to A is 3/4 mm. Left sides of T-I in line. Often there is little or no milling. 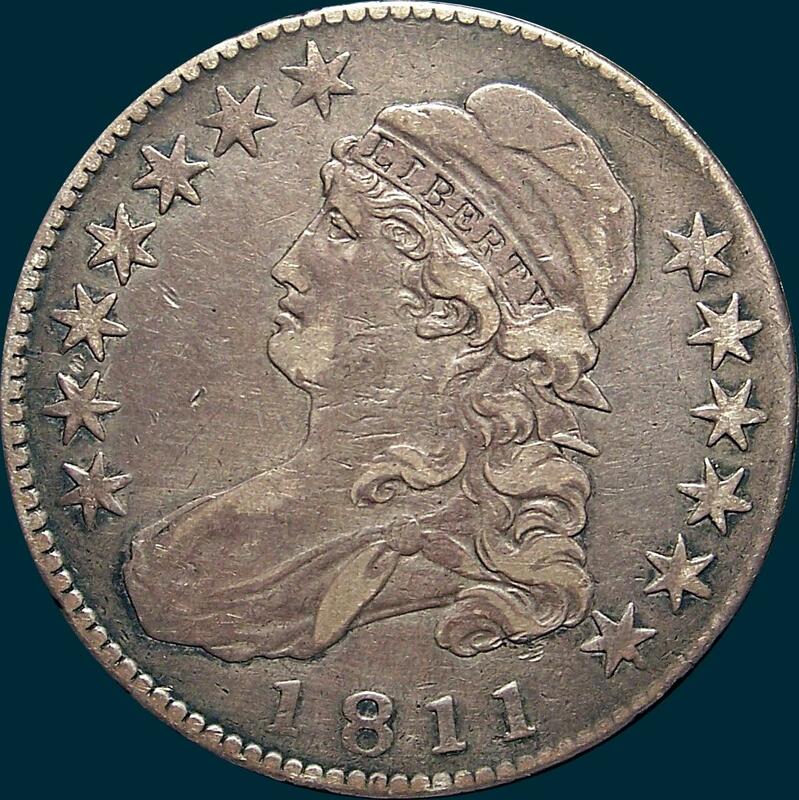 No other examples have appeared last 10 years with the exception of the example coin, purchased from an Ed Richter auction.